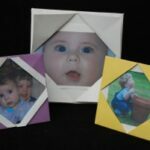 As you all know, I love simple paper crafts that you can do anywhere with any type of paper. Basically, the game allows you tell a friend’s fortune – the basics being “will you go to Heaven or Hell” – a bit morbid, I know. But you can embellish and write your own fortunes as the friends select different tabs within the game. 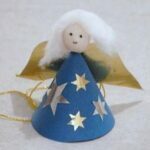 But you can also modify it for story telling or to make a little paper puppet. See the second video. 2) to show you How to play with your Himmel oder Hölle! Hope you have some fun! 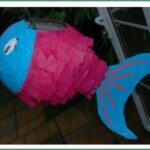 How to.. make a Paper Mâché Piñata Fish! What a cool idea I will have to save it for when my youngest GS is a little older! Lovely! You can practice and then suprise GS when you are on a trip and make it out of any scrap paper!! Hooray. I could finally open your new site today. I signed up as a follower, too! I’ll be back later to read your indigo post but I wanted to see what you were up to. 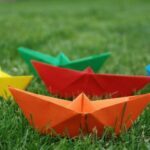 And I used to love this little craft when I was a kid! Cute memory. Maggy, it’s been years since I’ve made one of these. I’m going to make some over the weekend for my kids. By next week it’ll be all the rage at school! Looove the new site BTW. Looks fab. Haven’t finished looking around but I’m very impressed. What are these called in the UK? Glad you like the site! Super pleased with it! 🙂 Fiona did a fabulous job! I loved these when I was a child. Going to make them this weekend with B. Great vlog! We call them fortune-tellers. Ooo loving the new site! Very simple to navigate around.. love it! This post has took me back to my school days where we used to make this.. oh the memories!! Glad you like the new site!! thanks for reminding me of these – would be great as an activity to keep kids busy in the car /train /plane too – will pass on to our followers! Fabulous! Thank you 🙂 and totally agree… fabulous for on the go! All the paper crafts are!! Maggie you brought back great memories these would be so much fun to make with my girls! Wow, I haven’t seen one of these since I was in school! Thanks for commenting to let me know I had the wrong date for my link party! I’ve fixed it now if you would like to add a link! 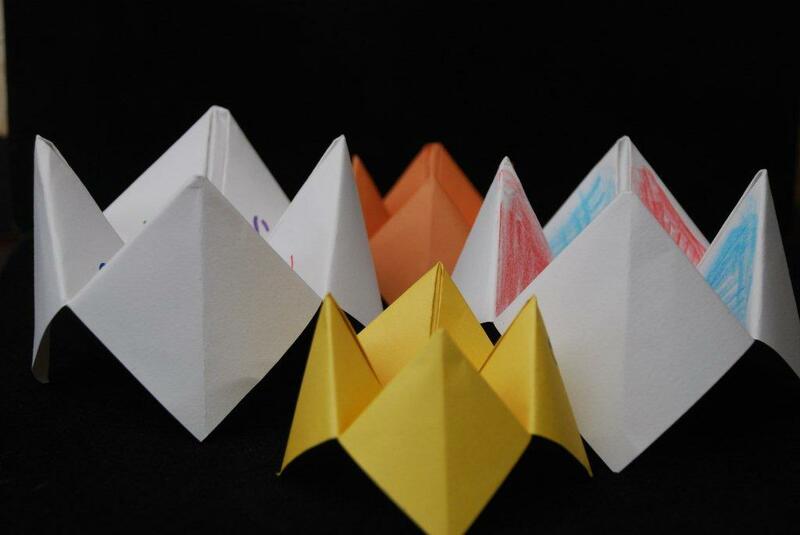 We always called these “Cootie Catchers” when I was a kid in Florida! Amazing, no, how memories are formed! We used make these all the time too! My daughter loves making these! I’ll go in her room and there will be 12 laying around, haha! Thanks for joining us! Now there’s a haul down memory lane. School holidays coming up in this neck of the woods. Guess what’s on the agenda now?! Perfect! Just what I like to hear!! 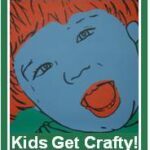 Love it when the blog gets used as a craft resource during holidays!! Hooray! I used to love these! I need to teach the kiddos how to make one! Oh yes, do! Such a big part of childhood! 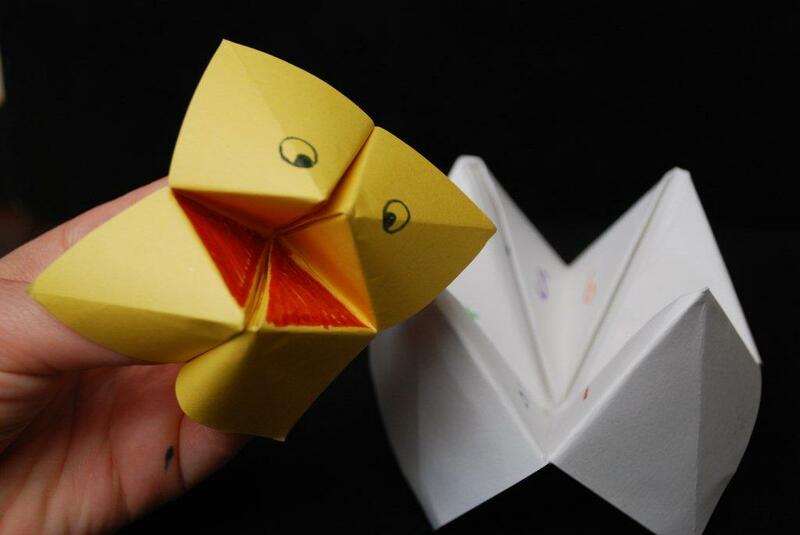 I used to always make fortune tellers as a kid, never thought about using one for a puppet. Thanks for linking up to the Under $100 Linky Party! I remember those as a child. OH how I loved them. Thanks again for linking up..